In October 1920, after taking over the Transjordan region, the United Kingdom formed a unit of 150 men called the "Mobile Force", under the command of Captain Frederick Gerard Peake, to defend the territory against both internal and external threats. The Mobile Force was based in Zarqa. 80% of its men were drawn from the local Chechen community. It was quickly expanded to 1,000 men, recruiting Arabs who had served in the Ottoman Army. On 22 October 1923, the police were merged with the Reserve Mobile Force, still under Peake, who was now an employee of the Emirate of Transjordan. The new force was named Al Jeish al Arabi ("the Arab Army") but was always known officially in English as the Arab Legion. The Arab Legion was financed by Britain and commanded by British officers. The Legion was formed as a police force to keep order among the tribes of Transjordan and to guard the important Jerusalem–Amman road. On 1 April 1926, the Transjordan Frontier Force was formed from cadre drawn from the Arab Legion. It consisted of only 150 men and most of them were stationed along Transjordan's roads. 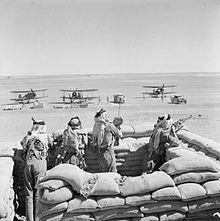 During this time the Arab Legion was reduced to 900 men and was also stripped of its machine guns, artillery, and communications troops. In 1939, John Bagot Glubb, better known as "Glubb Pasha", became the Legion's commander, with Major General Abdul Qadir Pasha Al Jundi as his deputy commander. Together they transformed it into the best-trained Arab army. During World War II, the Arab Legion took part in the British war effort against pro-Axis forces in the Mediterranean and Middle East Theatre. By then, the force had grown to 1,600 men. The Legion, part of Iraqforce, contributed significantly in the Anglo-Iraqi War and in the Syria-Lebanon campaign, two decisive early victories for the Allies. The top three officers representing the Legion who participated in the Victory March were Major General Abdul Qadir Pasha el Jundi, O.B.E., Colonel Bahjat Bey Tabbara, and Lieutenant Colonel Ahmed Sudqui Bey, M.B.E. The Arab Legion actively participated in the 1948 Arab–Israeli war. With a total strength of just over 6,000, the Arab Legion's military contingent consisted of 4,500 men in four single battalion-sized regiments, each with their own armored car squadrons, and seven independent companies plus support troops. The regiments were organized into two brigades. 1st Brigade contained 1st and 3rd Regiments while 3rd brigade contained 2nd and 4th Regiments. There were also two artillery batteries with four 25-pounders each. On 9 February 1948 the Transjordan Frontier Force was disbanded with members being absorbed back into the Arab Legion. Although headed by Glubb, now a Lieutenant General, command in the field was by Brigadier Norman Lash. The Legion was initially withdrawn from Palestine to Transjordanian territory, under instruction from the United Nations, prior to the end of the British Mandate. With the commencement of hostilities the Legion re-entered Palestine with 1st Brigade heading to Nablus and 2nd Brigade heading to Ramallah. The Arab Legion entered Palestine with other Arab Forces on May 15, 1948 using the Allenby, now King Hussein, bridge as they were advancing to cover the approaches from Jenin, in the north to Alaffoula and from Al-Majame'a bridge on the Jordan River to Bissan Alaffoula. There was considerable embarrassment from the UK government that British officers were employed in the Legion during the conflict and all of them, including a brigade commander, were ordered to return to Transjordan. This led to the bizarre spectacle of British officers leaving their units to return to Transjordan, only to sneak back across the border and rejoin the Arab Legion. Without exception all of the British officers returned to their units. One British MP called for Glubb Pasha to be imprisoned for serving in a foreign army without the King's permission. Occupation of Latrun Tegart fort on 17 May 1948, and later the Battles of Latrun from 20 May to 18 July 1948. Tarqumiya on 24 October 1948. By the end of the war in 1949, the Arab Legion consisted of over 10,000 men manning a 100-mile front, which then expanded to a 400-mile front following the withdrawal of Iraqi forces. On September 11, 1956, an Israeli force in what the IDF termed one of its retribution operations, Operation Jehonathan, raided Jordanian territory at Al-Rahwa, Hebron Sector, attacking the police station and clashing with a unit from the Legion's Desert Force. Over twenty soldiers and policemen were killed. On 1 March 1956, the Legion was renamed as the Arab Army (now Jordanian Armed Forces). In Israel, the Hebrew term "Ligioner" (ליגיונר), i.e. "Legionary" was still informally used for Jordanian soldiers for many years afterwards, also at the time of the 1967 war and its aftermath. King Abdullah I with John Bagot Glubb "Glubb Pasha"
Lieutenant Colonel Ernest Stafford ("Stafford Bey") 2nd IC—1924–1931. Note: "Pasha" is a Turkish honorary title, one of various ranks, and is equivalent to the British title of "Lord". Bey is equivalent to a knighthood or "Sir". ^ Pike, John. "The Chechen Chronicles '98". Globalsecurity.org. Retrieved 2014-05-13. ^ Tal, David (31 January 2004). War in Palestine, 1948: Israeli and Arab Strategy and Diplomacy. Routledge. p. 202. ISBN 978-0-203-49954-2. ^ Morris, Benny (1993) Israel's Border Wars, 1949 - 1956. Arab Infiltration, Israeli Retaliation, and the Countdown to the Suez War. Oxford University Press, ISBN 0-19-827850-0. Page 392. Isseroff, A., Kfar Etzion Remembered: A History of Gush Etzion and the Massacre of Kfar Etzion, 2005. Vatikiotis, P.J. (1967). Politics and the Military in Jordan: A Study of the Arab Legion, 1921-1957, New York, Praeger Publishers.